Set out below is a list of some policies and procedures that are currently in place at Mohill Community College. In the light of ever changing circumstances in our educational system, there is a need for frequent review and evaluation of School Policies. Policies will be reviewed at regular intervals and where necessary. The review will include both the experience and opinions of the students, teachers, other staff and parents. 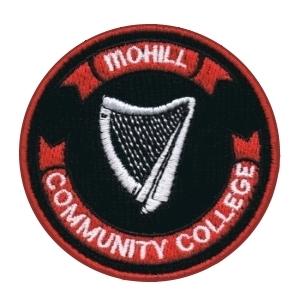 Mohill Community College is a co – educational school formed as a result of the amalgamation of Marian College (1949 – 2008) and Mohill Vocational School (1932 – 2008). Both schools have a long tradition of excellence in the provision of education which carries forward into the new Community College. The College is under the trusteeship of Mayo, Sligo and Leitrim Education and Training Board (formerly Co. Leitrim VEC) and Mercy Sisters Western Province. It is managed by a Board of Management (BOM) and funded by the Department of Education and Skills (DES). Mohill Community College commits itself to creating an inclusive, caring and disciplined environment, promoting a respect for diversity of culture and fostering a spirit of mutual respect among students and staff. The College, in partnership with Parents/Guardians and the wider community will challenge its students to pursue excellence, enjoy learning and to achieve their full potential as individuals and citizens. To provide a broad diverse curriculum relevant to the needs of its students of all abilities and facilitate the needs of lifelong learning in an inclusive environment, upholding equality with respect to access to and participation in College life. The College follows the curricular programmes prescribed by the Department of Education and Science which may be amended from time to time in accordance with Section 9 and Section 30 of the Education Act, 1998. The College depends for its funding and resources on the grants and teacher allocations provided by the Department of Education and Science, and school policy in all areas must have regard to this funding and these resources. Students at Junior and Senior Cycle follow a core programme, with a number of optional subjects. Religious Education and Physical Education are part of the core programme for all students. The Principal allocates students to classes. Subject to sufficient demand and resources, the Board of Management reserves the right to determine on an annual basis the range and level of subjects. Students who do not sit internal examinations may be required to sit such examinations at an alternative time, before proceeding with their course. The Transition Year Programme is an optional year which provides students with an opportunity to develop life skills, interact with new subjects, and reinforce learning in core subjects, before committing themselves to the Leaving Certificate Programme. The Board reserves the right in relation to the above Programme to decide on the numbers entering the Transition Year programme on an annual basis. Students with poor disciplinary records may be refused entry to Transition Year. The Leaving Certificate Vocational Programme is an enhancement of the traditional Leaving Certificate. In keeping with the Education Act, 1998 and a commitment to the promotion of lifelong learning, the development of Post-Leaving Cert Courses and Adult Education is a priority. This Admissions Policy should be considered in conjunction with the school’s Mission Statement, Code of Behaviour, the Education Act, 1998, Education Welfare Act, 2000, Equal Status Act, 2000, and Education for Persons with Special Educational Needs Act, 2004. The College operates a policy of non-selective enrolments. The College is committed to equality of access to and participation by students with special educational needs. The final decision regarding enrolment of students and with all matters covered by the Admissions Policy lies with the Board of Management. The Board of Management will review this Policy from time to time. The Principal, Deputy Principal or other teacher(s) appointed by the Principal may visit the schools in the catchment area or invite sixth class students to visit the College during Term II and distribute copies of the Application Form and Code of Behaviour to the sixth class students. These forms are also available from the College office on request. Students wishing to enrol in the school will attend, accompanied by a Parent/Guardian, on a date specified by the school. Parents/Guardians will bring completed Application Form on this occasion. On receipt of completed Application Forms, a letter of acceptance is sent to the Parents/Guardians of prospective students. The Parents/Guardians must indicate in writing their acceptance of the school’s Code of Behaviour on the Declaration Form enclosed (Section 24:3, Education Welfare Act, 2000). Parents/Guardians are requested to sign and return to the College the Acceptance Form, Declaration Form and Health Information Form. The Department of Education and Skills lays down that students enrolling in a post-primary school must have completed a full course of Primary Education and should be no less than twelve years of age on January 1st of the school year in which they are enrolled. In returning the above Forms – Acceptance Form, Declaration Form and Health Information Form – Parents/Guardians will also submit an original Birth Certificate for verification by the school on behalf of the DES of date of birth of students. A representative from the school will visit/contact the schools of those students who have enrolled. The purpose of this visit/contact is to elicit information which will ease the transfer of students from Primary to Secondary Level. Details regarding learning needs, social needs, and behaviour, will be sought. In enrolling First Year students, the Board of Management must have regard for DES provisions regarding class size, staffing provision and/or any other relevant requirements concerning accommodation such as physical space or the health and welfare of students. It should also be known that all applicants may be required to complete an Assessment Test in order to help the school to assess the needs of the students. This test is not used to exclude any student. The school operates a policy of non-streaming. Section 2 of the Education Act, 1998 defines Special Needs as the needs of students who have a disability and the educational needs of exceptionally able students. The Board of Management welcomes applications from students with special educational needs. The Board will take steps at an early stage to identify children with special needs who may be applying for admission to the school, and to become familiar with their needs. The Board will request a copy of the child’s Medical/Psychological Report/Individual Education Plan, if available. If necessary, the Board will request an assessment in order to assist the school in establishing the educational and training needs relevant to their disability or special needs and to profile the support services required. Having gathered all the relevant information, the Board will assess how needs can be met. If further resources are required, the DES will be requested to provide these resources. In the case of a student (including international students) requesting transfer from another school, Mohill Community College must be satisfied with the reasons for transfer. Applications are subject to the same criteria as apply to the enrolment of Incoming First Year students. The Board must satisfy itself that, on the evidence of a student’s performance to date in their present school, the student will be willing and able to comply with the Mohill Community College Code of Behaviour. If a student has special educational needs, appropriate information and assessments must be provided and the application will be considered in the light of this information and subject to the ability of the school to meet the needs of the student concerned. The consequences of a transfer and its implications for continuity of education, subject choices and level will be discussed with Parents/Guardians and students. Following such discussion the school will determine the year of study/course best suited to each transfer student on entry. In some circumstances the School Authorities may request the student to avail of appropriate professional services. In accordance with Section 20:3 of the Education Welfare Act, 2000, schools will be informed when a student has transferred to Mohill Community College. In the case of a student who has left the College, a request for readmission will be considered by the Board of Management, having regard to the aforementioned ‘Transfer From Other Schools’. If a Parent/Guardian requests that their son/daughter repeat a year other than the Leaving Certificate Year, each case will be considered on its merits. In determining the number of students allowed to repeat a year, the school is constrained by the regulations of the DES in this context (Circular M57/87; M33/89; M47/93; M2/95; M54/01). In the opinion of the Board of Management, the student poses an unacceptable risk to other students, to school staff, or to school property. Should a student’s application for admission be refused, parents/guardians have the right to appeal the Board of Management’s decision in the first instance to the Mayo, Sligo and Leitrim Education and Training Board. If parents/guardians are unhappy with this decision, they may then appeal to the Secretary General of the Department of Education and Skills. The Section 29 Appeals Forms will be made available through the school to those parents/guardians (or students over 18) who may need them. Approved by the Board of Management 7th October 2008. Reviewed, updated and approved by the Board of Management 13th November 2012. Mohill Community College Code of Behaviour has been developed in conjunction with staff, parents, students and other partners in education. It is expected that every student passing through our care will develop responsible attitudes and respect for self and others. This requires careful and continuous guidance from home and school. We in Mohill Community College will take every opportunity to provide each student with a set of values which will embrace respect and responsibility. The School Authorities are reasonable in the standards expected of students. Any procedure or rule is made with their interests and development both academic and social in mind. Parent/Guardian support and co-operation are crucial to this and the school depends on it. Research has shown that students whose parents/guardians support their schooling are more successful than those who do not. This indicates the key to success lies in the partnership between school and home. To aim at the standards of academic achievement commensurate with his/her ability and to contribute positively to all aspects of school life. To attend school on time, with the required equipment well prepared, suitably presented, appropriately dressed , ready to learn and to take a positive and active part in all aspects of school life. To ensure that, in regard to other students, their behaviour never disadvantages or interferes with their rights to learn and participate in school life. To co-operate with all staff and to accept the authority and rules of the school. To take into consideration and have respect for themselves, the feelings of others and the property of all in the school community. To behave in a responsible way, both in school and when travelling to and from school. Endeavour to generate a spirit of excellence in the school in academic, spiritual, social and physical aspects of education. To help each student fully develop their talents and to achieve the highest standards in work and behaviour. To recognize good work and behaviour and to seek modification of behaviour which disadvantages other students or interferes with their learning. To cultivate a sense of pride in the school through good example, professional standards and recognition and reward for students’ contribution to life in the school. To promote close co-operation with parents/guardians for the benefit of each student’s education. To show by example that they support the school in setting the highest standards in all it tries to do. To make sure that students come to school regularly, on time, suitably presented, appropriately dressed, ready to work, and to inform the school about any reason for absence. To take an active and supportive interest in their son’s/daughter’s work and progress. To show support for the authority of and discipline within the school, by helping their sons/daughters to achieve maturity, self discipline and self control. To support the school in whatever way they can in all its endeavours to promote and improve the education of their son(s)/daughter(s). To ensure that students are in possession of all required school books and materials. To check and sign the school journal each Thursday and/or as requested. To attend Parent/Teacher meetings and any special school appointment. It is the Responsibility of all Class Teachers to familiarise themselves with all aspects and procedures in relation to the Code of Behaviour. The Class Teacher will in the first instance deal with any breach of classroom discipline. For minor infringements of the Code it is sufficient for a teacher to reprimand the student or use other classroom management measures such as extra work. Following this the Class Teacher should issue a signature in the Students Journal in the area provided. The Class teacher should keep a record of all such incidents or record breaches as they occur in order that a Student profile can be built up. When such behaviours are repeated or are of a more serious nature, the Class teacher should then refer the matter to the Year Head and also record the matter in the student’s file in the Secretary’s office. The Year Head will monitor the behaviour of all students of his/her Year through the reading of the Year Group Records and by being available to subject teachers who wish to refer any serious breaches of classroom discipline. The Year Head will counsel, reprimand or impose a sanction on the student as appropriate. Sanctions may include placing the student on detention, contacting parents/guardians and/or inviting parent/guardians to visit the school. When the above procedures have been followed and there is persistent misconduct or where there is a once-off incident of a very serious nature the matter should be referred to the Deputy Principal or Principal. The role of the Year Head vis-à-vis student welfare is further outlined in the Pastoral Care Policy. The purpose of rules in Mohill Community College is to provide clarity for students about the school’s high expectations for their behaviour. Rules set goals for students that will guide them in moving towards mature and appropriate behaviour, as well as serving as a practical tool for teaching and learning. For these standards to be met, students are expected to follow rules that will benefit their own learning and that of their peers. Students must respect the proper authority of their Principal and teachers. Students are expected to apply themselves seriously to their class work without disrupting progress of other students. Students are expected to attend school and to be punctual for class and school activities. Students should be neatly dressed and all are expected to wear the prescribed uniform. Students must respect school property and that of their fellow students, reporting any damage to same when it occurs. It is important to note, in order for a reward system to be effective, we must acknowledge behaviour that is valued and wanted and the system must be sensitive to personal development and cultural factors. Rewards must be given for effort, not only achievement. The system must be consistently used by staff. Reward systems cannot become the goal of learning or result in unhelpful competition. Rewards cannot seem unattainable leading to demotivation. Possibilities for rewarding students may include Student of the Year Prize Giving Ceremony. This prize may be based on homework, test results, good behaviour, effort, willingness to work, participation in class and extracurricular activities. Meetings with parents of new students to enable clear understanding of the roles we all can play in promoting good behaviour. Encouraging parents to share information about issues that might affect a student’s behaviour – assuring parents that such information will be treated in the most sensitive manner. Keep good channels of communication open with parents at all times. Involving parents in planning and reviews of policies. Encouraging participation by parents in the work of the Parent’s Association. Teachers discussing Code of Behaviour in class, and applying the values of the code in every class. Involving students in developing and reviewing school policies. Promoting effective representation of students’ concerns in the classroom and on the Student Council. Most issues arising from breaches of the Code of Behaviour are dealt with by the class teacher(s). Class teachers build up a relationship of trust with their students and are therefore an important source of help. When additional help is needed, a student may be referred to the Year Head, Guidance Counsellor or Chaplain, with the expectation that advice and support can be made available. Students and parents are encouraged to avail of the services of the school’s Pastoral Care Programme (please refer to Pastoral Care Policy). The school will work closely with parents and students in providing advice regarding access to support services outside the school. Continuous disruptive behaviour, and continuous defiant refusal to co-operate with instructions given by staff. Abuse of a staff member or fellow student, whether in the form of physical, written or verbal abuse. All forms of bullying and intimidation of students and staff members – including physical, emotional, racist, e-bullying, extortion etc. Inappropriate sexual behaviour or the possession of material of a sexual, pornographic or violent nature or the possession of offensive weapons. Misuse of ICT systems in School. Misuse of mobile phones/mobile camera phones/recording devices, please refer to the school policy on mobile phones. Deliberate damage to or misuse of school properties – including the use of graffiti. (a) The use, possession or trafficking of drugs, alcohol, tobacco or solvents on school premises and grounds, or on school related activities (b) Attending school under the influence of alcohol and/or drugs. Serious discourtesy towards a visitor in the school. Theft of school property or theft of the property of another member of the school community. The possession, distribution or use of fireworks/bangers or any other materials or substances that are likely to cause offence, nuisance or injury on school premises. Dangerous or irresponsible use of motor vehicles on school grounds. Unauthorised absences from class or from school premises and repeated breaches of rules on punctuality. Reprimanding the student, with the consideration of other measures like relocation within the classroom and /or additional work. Note in Student’s Journal/Diary (this note should detail what breach of rules is involved whether misbehaviour, failure to present homework, or failure to bring required materials to class). After a student has had three entries in the Journal during one week, or seven entries in one month, the student will be placed on Report Form for a period of at least three days, with the requirement that this Report Form should be signed each day by parent/guardian. The student will also be placed on Thursday Lunchtime Detention, in an assigned room. In the event of an unsatisfactory Report, the student will be placed on Friday after-school Detention 2 – 3 pm. In cases of very serious misbehaviour, any or all of the above steps may be bypassed. Details of the incident will be entered in the Student Records, and the student will be referred to the Year Head. If the matter is not resolved at this stage, it will be referred to the Principal/Deputy Principal for the possible consideration of a suspension. If it is necessary to proceed with the suspension, every reasonable effort will be made to communicate that decision to parents/guardians. Supervised Detention takes place on Thursday at lunchtime from 1:35 p.m. – 2:00 p.m. Students placed on detention will be reminded on the previous day (Wednesday afternoon either in person or by text) and will bring a packed lunch on the Thursday. Students are not allowed downtown on that Thursday. Students remain on the school grounds for the duration 1.25 – 2.05 pm. During Detention students may be issued with a worksheet relevant to their curriculum. A Detention List is kept in the staffroom for each school week, students names are recorded on this list by the teacher of the third signature in that school week or the staff member placing the student on detention. The Detention List is placed in the Detention File in the office at the end of detention (2:15 p.m. each Thursday). Students absent are required to fulfil detention on the following Thursday. Supervised Detention takes place on Friday after classes have finished from 2.00 – 3.00 p.m. Students placed on Friday Detention will be informed on Wednesday or Thursday afternoon. Parents/guardians will be informed by text or phonecall on Wednesday or Thursday afternoon of Friday Detention. Failure to co-operate with Friday Detention through non-attendance will result in suspension for one school day. Where reasonable family circumstances arise preventing a student from doing Friday Detention on the designated date, and these circumstances have been notified to the Principal in advance of Friday 2 p.m., the school will permit deferral until the following Friday. A student who has been on Friday Detention three times will be suspended for one school day. We aim to create an environment in which all can learn, grow and develop to their full potential. Each person has a right to expect respect for himself/herself as a person. Any behaviour which infringes on the rights of any member of the community is inappropriate. Reference to other appropriate school policies may be necessary to deal with issues arising. The Code of Behaviour will apply to all school related activities (school tours, extra curricular activities, representing the school in competitions, games, evening study, co-curricular activities etc). The standards and rules of the school will apply in any situation where the student, although outside the school, is still the responsibility of the school. Suspension and Expulsion are the penultimate and ultimate sanctions available to the Board of Management in dealing with disciplinary issues which arise in school. The withdrawal of permission from a pupil to attend school for a specific period of time pending the completion of a particular instruction. The Principal of the school is obliged under the Education Welfare Act (2000), Section Law Act 21, to inform the NEWB in writing if a pupil is suspended for six days cumulatively. All suspensions will be reported to the Board of Management for noting and review. The authority to suspend a student rests with the Principal of the school, subject to the rights of the parents/guardians (or of a pupil who is over eighteen years) to appeal to the Board of Management. Suspension is a serious sanction and will only be imposed where other efforts to resolve a disciplinary situation have failed or where the nature of the incident dictates that the student be removed from the school immediately. Circumstances in which suspension might be considered could include. Repeated incidents of indiscipline in spite of warnings and counselling by staff. Failure to recognize and submit to legitimate authority. Behaviour which is considered to interfere with the rights to learn of other students. Particularly serious incidents which endanger the welfare of the student or of others. The student breaches any of the serious misbehaviour definitions as outlined in the Code of Behaviour. These are examples for information purposes and the circumstances are not restricted to these instances. Contemporaneous notes will be kept of all incidents or events which might be called upon to support a decision to suspend. The School Authorities will contact Parents/Guardians to discuss events which have led to the consideration of suspension. Parents/Guardians will be informed, in writing, of the reason for the suspension, the period of the suspension and the requirements which must be fulfilled to gain reinstatement. Parent/guardians will be informed of their right to appeal the decision to suspend. Parents/guardians may request details of the procedure to be followed in making such appeal. Students will not be dismissed from school unless and until arrangements are made for their safe return to the care of their families. Records will be kept of all meetings and/or telephone calls in connection with the suspension. If the Principal is going to recommend to the Board of Management that a student should be expelled, the student will first be suspended by the Principal. During the suspension period parents/guardians (or of a student who is over eighteen years) can make a case on behalf of their child to the Board of Management. It is a decision of the Board of Management to impose the expulsion. Each step in the process will be conducted in the presence of a witness and contemporaneous notes will be kept. The following steps will be followed. The case against the student will be put to him/her and he/she will be given the opportunity to respond. The parents/guardians will be informed of the grounds upon which expulsion is being considered, and the nature of evidence being relied upon. The parents/guardians will also be provided with a fair opportunity to consider the evidence and offer evidence in rebuttal. Having considered all aspects of the case if the Principal decides to recommend to the Board of Management that the students being expelled he/she will inform the student’s parents/guardians in writing of the decision, the reason(s) for it and of their right to make representations to the Board of Management on the behalf of the student. In the interest of the student, parents/guardians will be required to give notice to the Secretary of the Board of Management of their intention to make such representation no later than the specified date to enable an early hearing by the Board of Management. The parents/guardians are entitled to seek access to the student’s file and to documentation relevant to the expulsion save for any part of the same that infringes the right of privacy of another or other students. Arrangements will be made at the earliest possible date for a joint meeting of the Board of Management with the Principal and the Parents/Guardians. No information which has not previously been made known will be introduced at this meeting. The student may need to stay suspended from school pending the decision of the Board of Management. When the Board of Management has heard all the evidence, the Principal will withdraw to allow the Board to consider the case. Even though the Principal is the Secretary of the Board of Management he/she will not be party to the consideration of the case as he/she is an involved party. Further the Board of Management will ensure that any member of the Board of Management who might have a conflicting interest will be excused and not participate in the decision. To ensure its independence as the final authority in the case, the Board of Management will not be involved in the process leading to the decision of the Principal to recommend the expulsion of the student. If the recommendation of the Principal is rejected, it is a matter for the Board of Management to decide on what conditions, if any, the student will be allowed back to school. If the recommendation of the Principal is approved the parents/guardians or (or of a student who is over eighteen years) the student will be informed of their right to appeal the decision to the Chief Executive Officer, County Leitrim Vocational Education Committee, St. George’s Terrace, Carrick on Shannon, Co. Leitrim and subsequently, if necessary, to the Secretary General of the Department of Education and Skills under Section 29, Education Act, 1998. Where a Board of Management has taken the decision to expel a student the National Education Welfare Board and designated Welfare Officer will be informed of its opinion and the reason therefore. A student shall not be considered expelled before the passing of twenty school days from the receipt of such notification by the Education Welfare Officer. The student will remain suspended for the twenty days until the Expulsion Order takes effect. A decision by the Board of Management to expel a student will be communicated by the Secretary to the Parents/Guardians by registered post as soon as possible after it has been taken. At the same time the decision will be communicated to the Education Welfare Officer. The expulsion will take effect once twenty school days have passed after the Education Welfare Officer has received this notice, pursuant to the provision of Section 24 of the Education Welfare Act, 2000. Parents/Guardians will be notified in writing of the precise date. Notification of absence from school. All absences must be excused by written note, or must be applied to and approved by school management so that a student’s whereabouts is known at all times. Parents/Guardians are expected to furnish the school with a written note in their school journal, stating date, time, reason for child’s absence in accordance with NEWB guidelines, on the day of their return. This note must be presented to Principal, Deputy Principal or Attendance Registrar. The notes will form a record which may be inspected by the Education Welfare Officer. Students may contact the Year Head, School Counsellors, Chaplain, Deputy Principal or the Principal. Parents may contact by appointment the Subject Teacher, Year Head, School Counsellors, Chaplain, Deputy Principal, or the Principal. Subject Teachers may contact the Tutor, Year Head, School Counsellors, Chaplain, Deputy Principal or the Principal. In the light of ever changing circumstances in our educational system, there is a need for frequent review and evaluation of the Code. This Code will be reviewed at regular intervals and where necessary. The review will include both the experience and opinions of the students, teachers, other staff and parents. It in turn uses the information and analysis to plan ways to strengthen positive relationships of respect and trust and also help build a shared commitment to the values and ethos of Mohill Community College. Mohill Community College will employ a number of strategies in order to maximise learning opportunities and reduce risks associated with the Internet. These strategies are as follows. The use of personal memory sticks or CD-ROMs in school will be permitted under supervision. Students should respect each other’s privacy related to their student account. Approved student email accounts set up by MSLETB will be the preferred email account for student use (2015 – 2016 school year Microsoft Online accounts). This Policy should be read in conjunction with the school’s Anti-Bullying Policy (ref. Non-Fatal Offences Against the Person Act, 1997; Prohibition of Incitement to Hatred Act 1989, Defamation Act 2009). Action taken will be guided by the school’s Code of Behaviour and Anti-Bullying Policy. Students will continue to own the copyright of any work published. Reviewed, and approved by the Board of Management: 25/09/12; 09/02/16. If at all possible, mobile phones/mobile camera phones should not be brought to school. At all times all phones must be switched off. Parents/Guardians are requested to refrain from phoning students directly. As the Department of Education and Skills does not allow mobile phones to be used as calculators or clocks, this is also school policy. If a phone rings or is produced in a classroom or between classes, the phone will be confiscated for a period of not less than one school day and will be returned to the student on receipt of a signed note from the student’s parent/guardian. The phone will be handed in to the Principal’s Office by the teacher who confiscates it. In order to ensure student safety in the absence of their phone, every effort will be made by the school to contact parents/guardians on the day of confiscation to inform them that their son/daughter’s phone has been confiscated. The mobile phone is the sole responsibility of the student and the school does not accept liability if the phone is lost or stolen. Students bring phones to school at their own risk. Where improper or inappropriate images or recordings are discovered, the matter will be dealt with as a serious breach of the Code of Behaviour of Mohill Community College. In these or other circumstances the school may consider it appropriate to involve the Gardai. On return of the phone, parents/guardians will be required to sign a contract agreeing that the phone will not be brought to school again. It is a criminal offence to use a mobile phone/mobile camera phone to menace, harass or offend another person. Students in breach of the Policy will be suspended for one school day. This reflects the reality that it is illegal to smoke on the premises. The school will use CCTV footage to monitor and investigate student behaviour and incidents requiring investigation. Date approved by the Board of Management: 9th June 2009. Reviewed and approved by the Board of Management: 25th September 2012; 15th December 2015. All students, with the exception of senior students, will remain on the school premises during lunch hour. Second to Sixth Year students require a signed Lunchtime Indemnity Form if they wish to leave the school premises at lunch hour. The practice of students going down town on Thursdays is reviewed on an ongoing basis. The practice of senior students going down town Monday to Thursday is reviewed on an ongoing basis. School management reserves the right to withdraw permission, in response to unacceptable behaviour. Approved by the Board of Management 9th June 2009. Reviewed, and approved by the Board of Management 30th April 2013. Punctual arrival at school in the morning and afternoon and prompt arrival for each class in the course of the day is an important discipline for each student. Parents/Guardians will ensure that their child has departed in sufficient time for punctual arrival at school. Every student should arrive at school by no later than 9.05 each day in order prepare themselves for the prompt start of the school day (9.10 am). Students will ensure that the books, copies and other materials required for classes have been secured at 9.00, 11.20, and 1.55, thus ensuring timely transfer from room to room and prompt arrival for each class. Where a pattern of serial lateness develops, a student will be given due warning, after which their lateness will incur a signature. A Register of Latecomers will be recorded each morning and afternoon. Students who arrive to school late on three mornings in any week, without satisfactory explanation, will receive a signature on the Thursday of that week. Students who return late from Lunch hour will have downtown lunchtime permission on the following day/following Thursday withdrawn. Parents/Guardians may be asked to meet with the Principal/Deputy Principal in the case of their son/daughter’s frequent late arrival to school. VSWare provides school management with a facility for communication of lateness as well as absence statistics to parents/guardians. Approved by the Board of Management: 9th June 2009. Reviewed, and approved by the Board of Management 13th October 2015. Mohill Community College will endeavour to support and encourage full participation in school life by providing Programmes and opportunities which meet the academic and other needs of students. Each student, supported by parents/guardians and the school, is expected to take full advantage of the educational opportunities afforded them by maximising their attendance at school. The attendance of all students will be monitored each day. Roll Call will be taken via VSWare each morning during First Class. School secretary will publish record of student absences in folder in Front Office daily. Patterns of non-attendance will be identified, with efforts made to identify the reasons for non-attendance and possible ways of improving same. A student who has been absent for any period of time – day/days or part of a day – should bring with him/her a note of explanation from parent/guardian on his/her return and present it to the office/those charged with responsibility for collecting same. The Notes Section at the back of the School Journal provides for explanation in accordance with the requirements of the National Education Welfare Board (NEWB). Parents/guardians are requested to arrange for non-urgent medical/dentist/ophthalmic appointments in school holiday periods or after school hours. Parents/guardians should avoid arranging family holidays during school term time. In accordance with the requirements of the Education (Welfare) Act, 2000 the school will make formal returns four times per year, detailing (a) students who have been absent for 20 or more days (b) students about whose attendance the school has concerns (c) students suspended or expelled. Note: The Education (Welfare) Act, 2000 replaces the School Attendance Act, 1926. The main aim of the Act is to promote and improve school attendance rates for children at primary and post-primary level education. The Act establishes the NEWB. The NEWB is the body responsible for implementing the provisions of the Act. Parents/guardians will be informed by letter when a student has missed a total of 20 days, informing them that the school will be notifying, as per statutory obligation, Tusla (Child and Family Agency) that their son/daughter has been absent for 20 or more days. Christmas and Summer Reports will detail total absences at the end of Term and Term 3. Full participation will be supported and encouraged by the award of a Full Attendance Award at the end of each school year. Reviewed, and approved by the Board of Management 15th December 2015. Students and their parents/guardians should note that it is the policy of the school to require anyone found to have damaged school property to make financial restitution for same. Students are required to take proper care of school books made available to them by the school. Lost books must be replaced by the student. Each student is responsible for the locker assigned to them. Lost keys must be replaced by the student. A restitution fee of €50 will be imposed on any student found to interfere with the school’s Alarm System. This applies to the Wheelchair Alarm and to the Fire Alarm Systems. Reviewed and approved by the Board of Management: 15th December 2015. The aim of this policy is to enable the school community to respond in a structured and effective manner to a critical incident. Any exposure to a critical incident can have a very detrimental effect on any individual or group of individuals within our school community, and as such this situation should be rectified through support, understanding and affirmation. Recovery from trauma is facilitated by emotional disclosure within a socially supportive environment. To have a Critical Incident Response Team appointed within the school. To respond to the personal needs of any persons affected by the critical incident. To ensure the safety of persons and secure the interests of the school. To disseminate appropriate information to interested parties (school community, parents, media etc…). To advise staff of required actions. To evaluate the effectiveness of actions taken. The death of a member of the school community through sudden death, terminal illness or suicide. An accident on the school premises. A physical attack on one or more of the school community. Serious damage to the school building through fire, flood or vandalism. An accident/death in the wider community. The NEPS Booklet “Responding to Critical Incidents” may be read in conjunction with this policy and may be consulted by teachers for further guidelines in dealing with critical incidents including suicide. To gather all the facts relating to the incident and to verify these. To keep an updated list of all important numbers to hand and to prioritise which of these needs to be informed (Gardai, HSE, Board of Management, etc…). To call together the Critical Incident Response Team for consultation and to delegate duties. To contact families involved to determine their wishes with regard to publicity or religious services. To liaise with media if necessary. Administration duties: to appoint areas for individual counselling and group discussion and to appoint and advise a person for taking phone calls on the incident. Should comprise Principal, relevant Year Head, Guidance Counsellors, Chaplain, relevant class teachers and any other member of staff who wishes to be involved. Access the need for additional external help e.g. NEPS, HSE etc. and contact these. Decision to be made on level of counselling/assistance required for affected parties- individual or group and School Counsellors to organise this. Identify members of the school community that may be most affected by the incident and plan support for these people. Plan a meeting to inform staff and prepare statement of facts for this meeting. Any member of staff who may not wish to be involved in the counselling/assisting process may opt out. Staff who wish to participate in the counselling/assisting process must ensure that they impart the facts only as per statement agreed by the Critical Incident Response Team above. Give students permission and time and encouragement to express their feelings. Strive to listen and be empathic. Pay close attention to members of the school community who may be most affected by the incident. In the case of a suicide, be vigilant for possibilities of ‘copy cat’ suicides. In responding to the Critical Incident, it must be taken into consideration that beliefs around the concepts of religion, death and the grieving process differ among cultures. Should a Critical Incident occur at the time of the State Examinations, all members of the Critical Incident Response Team available should meet to assess the level of help to be given and to provide assistance and information for exam superintendents, the Examinations Aide(s), other staff, students, friends, parents and siblings. In so far as possible, affected students should be encouraged to continue with their examinations. Should a Critical Incident occur on a school tour both inside and outside of the state, the tour leader should take responsibility for informing the relevant parties, and the tour leader should take responsibility for informing students and acting as counsellor until the students return and can be guided by the Critical Incident Response Team. As much accurate information concerning the incident will be accumulated. This may come from the teachers, students, family, community, local clergy or Gardai. The family’s right to privacy must be respected and so any information will have to be assessed before being passed on to students. As far as possible, normal routines will be maintained. The Principal and Deputy Principal will inform the staff of the tragedy. The Year Head, Class Tutor and Subject Teachers of the students will meet and decide on procedures in detail. The Principal will inform each class of the incident. On the day of the announcement and on the next two days it may, at times, be preferable, to allow students to talk to each other, to listen to them and not to teach. The nature of the event will have an influence on how the students are informed. Friends and classmates of the deceased student may be in need of particular care and so the Career Guidance Teachers and Subjects Teachers should be more available to them. It may be necessary to have individuals or small group who are particularly upset meet with teachers in a private setting. Some parents may have to be contacted and the students brought home. The Critical Incident Response Team will advise on the most appropriate time and means of making contact with the bereaved family. The main concern with any media interest is that the privacy of the bereaved family be respected and that their trauma not be increased. One person will be designated as spokesperson and one written statement will be prepared. This will express sorrow of the school community at the death of one of its members. Sympathy will be extended to the family. The statement should be simple, factual and brief and should be adhered to and not elaborated on. All staff should be made aware of the statement. The Critical Incident Response Team to review the previous 24 hours. Will support meetings be necessary? Be sensitive as to how staff are coping on a personal and on a professional level. The students who were in the deceased student’s year should be encouraged to attend the removal and funeral/service. A guard of honour on both occasions may be required. Some may wish to participate in the service, prayers of the faithful, singing, and offertory procession. All this would have to be carried out in full consultation with the family. If it is felt that the school should be closed for a day then the school management will decide in consultation with the Department of Education and Skills. Some students and teachers may be in need of professional counselling. If this is the case with a student, the parents of the students should first be contacted and the circumstances explained. If parents feel that professional counselling is needed they may decide to arrange this themselves. The school may be able to point them in the direction of the services available from the Community Care Office of HSE North West or from NEPS (the National Educational Psychological Service). The Pastoral Care Team may consider it necessary to obtain the assistance of this resource for the staff and/or for a particular class and to invite them to the school. If, over a prolonged period of time a student displays any of the following he/she may be in need of assistance: Uncharacteristic behaviour, deterioration in work, inappropriate emotional reactions, increased absenteeism. Physical Symptoms – e.g. weight loss/gain, deterioration in appearance, tiredness. Decide on appropriate ways to deal with anniversaries and be sensitive to significant days such as birthdays. This involves an analysis by the Critical Incident Response Team of the actions taken. Staff, students and parents can be consulted in this process. The conducting of an enquiry as to whether the above success criteria has been met for affected persons and at what level of satisfaction, through questionnaire or personal interview. An assessment of how well staff adhered to the protocol and where improvements can be made. A re-evaluation of how well the actions taken as part of the plan were carried out. An assessment of whether any additional training may be needed. Providing counselling for members of team or staff who feel they still need to deal with their own feelings about their role in the critical incident. Proposals for remembrance activity in the case of death or suicide. Policy approved by the Board of Management: 17th May 2010. This Policy is currently being revised. School Pastoral Care is an approach to education which endeavors to value and develop each member of the school community. It promotes effective and caring leadership and partnership in the school community. It influences all aspects of the life of the school, in particular policies, curriculum, roles and structures in order to sustain and enrich the educational experience of each student and consequently that of every person in relationship to the school. To create an atmosphere of care in which all members of the school community and visitors to the school feel valued, cared for and respected. To enable students to develop and learn effectively in a secure and caring environment using an engaging curriculum. To maintain a caring observance that will detect any underlying problems a student may have and offer appropriate support and help. To encourage parents to work with school in the interests of the students and to inform the school of any difficulty which may be affecting the student’s life. To develop mutually supportive staff relationships which contribute to a good atmosphere in the staff room. To provide a point of personal contact with every student and every parent. To promote a partnership between students, teachers and their wider community within which all students are enabled to make the most of their opportunities. Encouraging everyone within the school to foster a caring and orderly environment within which all students can exercise initiative and grow socially, intellectually, morally and spiritually. This section is being revised in conjunction with revision of Pastoral Care Policy. The core Pastoral Care Team consists of the Principal, the Deputy Principal, Chaplain, Guidance Counsellors and Year Head (on a rotational basis). Decisions taken by the Pastoral Care team will be made in consultation with one or more of the following personnel: Year Heads, Class Tutors, Learning Support Teacher, Resource Teacher, SPHE Teacher, Special Needs Assistants and Student Council. The Pastoral Care Co-Ordinator is the significant point of reference for students who are experiencing ongoing difficulties, whether behavioural or social, in the school. The core Pastoral Care Team will meet regularly and they will have responsibility for supporting Class Tutors, Year Heads, coordinating the Pastoral Programme, reviewing students with particular difficulties and advising relevant groups within the school community on pastoral care. The co-ordinator will present an annual report on the pastoral life of the school to the staff. On-going in-service in Pastoral Care will be offered to the whole staff. Having studied assessment tests of all the students the learning support teacher, in consultation with the Principal, parents and relevant school personnel, offers extra tuition to the students in various subjects to help them cope with the syllabi. The Guidance Counsellor cares for students in an all encompassing holistic manner. The Guidance Counsellor is available to meet all students and parents on a one to one basis to discuss individual concerns. The Guidance Counsellor plays a major role in preparing students for the applications process for Third Level Courses. In consultation with parents and guardians all the information necessary for Post Leaving Cert courses, CAO and UCAS applications is made available. This is a core area of school life which is closely linked to Pastoral Care. The school has a commitment to SPHE and demonstrates this in its provision on the curriculum which adheres to the official DSE guidelines. In class, students learn how to be part of their school community and how to keep healthy. The First Aid team will meet regularly. A list of qualified First Aid team members and contact numbers will be available in the reception area. Information on students’ medical conditions will be known to the team. All accidents will be recorded in the Accident Book. The School Chaplain is a person of faith, who, on behalf of the school and the church community, accompanies and supports each student on their journey through life. The Chaplain brings an extra faith perspective to the encounter with each person and has a holistic concern for the spiritual, moral and personal needs of the school community. She organizes school retreats, prayer services for various occasions within the school year. The Chaplain in her day to day work will also meet with students on a one to one basis. In conjunction with the local clergy she prepares for Services and School Masses. The Big Brother, Big Sister mentoring programme operates by matching First Year students with responsible and caring older students i.e. Leaving Certificate students. The Big Brother Big Sister (BBBS) programme aims to create friendships that will positively impact on the student’s educational and social development. BBBS believes that the friendships between mentor and mentee will help to prevent any difficulties that may be encountered during the first year in secondary school. Having a caring and supportive older student can help build positive assets for a young person and strives to develop a positive sense of self and others. The programme is co-ordinated by Foroige with a designated school link i.e. the School Chaplain. The Resource Teacher The EPSEN Act 2004 relates to the education of students with special educational needs. Inclusion of students with special educational needs in our school is a priority. The resource teacher strives to provide meaningful programmes to support students, their parents and teachers in learning and teaching. The Editor of the local weekly Newspaper The Leitrim Observer offers the school community an opportunity to highlight aspects of school life through a column in their paper. A designated teacher provides this link between school and the local community. The Student Council affords students the opportunity to play an active and positive part in the life of the school. The council is designed to encourage students to become self confident, responsible, caring and independent young people who are prepared to take on the challenge of adult life. It helps to establish a group identity and to create a climate conducive to the development of good interpersonal relationships within the school community. As a representative body the student council liaises with a designated liaison teacher and has an input into the development of all school policies. The Parents’ Association provides a forum for parents/guardians to voice their opinions on the education of their children. It seeks to promote the greater involvement of parents/guardians in partnership with School Management, Teachers, and students in the educational system, having due regard for these partners. In their capacity as ‘front line’ staff members the caretakers and secretaries play a major pastoral role in their relationships with the students. The implementation of this Policy will be rolling in nature and will be led by the Pastoral Care Team. The school will monitor, review and evaluate the Policy on an ongoing basis. This CCTV SYSTEM POLICY should be read in conjunction with CCTV Policy for ETBs and Data Protection Policy for ETBs, approved by the Board of Management of MCC 13th October 2015. 1.1 The purpose of the CCTV System Policy of Mohill Community College (“the Policy”) is to regulate the management, operation and use of the closed circuit television (CCTV) system (“the System”) at Mohill Community College (“the School”). 1.2 The system comprises a number of housed (external) and dome (internal) cameras located around the school site. The Policy follows Data Protection Commissioner Guidelines and is drafted in conformity with the Data Protection Act, 1988 and the Data Protection (Amendment) Act, 2003 (“the Acts”). 1.3 Comments from interested parties are welcome and will be considered when the policy is reviewed. (g) To assist in relation to matters other than security, namely, the promotion of and compliance with Health and Safety standards and taking appropriate disciplinary measures, where so required. (h) The System will not be used to monitor staff conduct or performance, except where required to investigate the alleged commission of a crime. 3.1 The School will treat the System and all information, documents and recordings obtained and used there from as data which may be deemed personal data requiring protection under the Acts. 3.2 Cameras will be used to monitor activities within the school circulation areas and its car parks and other public areas as an adequate, relevant and proportionate response to the achievement of the objectives identified at paragraph 2.1. 3.3 Materials or knowledge secured as a result of the use of the System will not be used for any commercial purpose. The recorded images shall be stored on DVDs/USBs which will only be released to the media or other third parties for use in the investigation of a specific crime and with the written authority of the Garda Siochana. DVDs/USBs containing personal data will never be released to the media or other third parties for any purpose that is not permitted under the Policy without the Data Subject’s consent. 3.4 The planning and design of the System has endeavoured to ensure that it will give maximum effectiveness and efficiency insofar as is reasonably practicable but it is not possible to guarantee that the System will cover or detect every single incident taking place in the areas of coverage. 3.5 Warning signs, as required by the Code of Practice of the Data Protection Commissioner have been placed at all access routes to areas covered by the school CCTVs to inform all persons who may be deemed Data Subjects, of the operation of the System. 4.1 For the purposes of the Data Protection Acts 1988-2003 the Data Controller will be Mohill Community College. In practice, the System will be managed by the Principal, in accordance with the principles and objectives expressed in the Policy. 4.2 The day-to-day management will be the responsibility of the Principal. Other personnel may also be authorised by the Principal to view recorded images for the purposes outlined in this policy, e.g. the Deputy Principal, Year Heads, Caretakers. 4.3 The System will be operated 24 hours each day, every day of the year, except for periods of breakdown or necessary maintenance. 4.4 A schedule for regularly checking the quality of images being collected and also checking whether the date and time are accurate will be the responsibility of the Principal. A maintenance contract with Lock Up Alarms will include such checking. 4.5 During times of school closure, the CCTV system will continue to operate as normal and will be maintained and monitored by Caretaking Staff. 5.1 The Principal’s Office is where the system is installed and from where it is controlled. The Principal will check and confirm the efficiency of the System regularly and in particular that the equipment is properly recording and that cameras are functional. The recording equipment is located in a locked cabinet in the Principal’s Office. The key will be held by the Principal. 5.2 Access to the Principal’s Office will be limited to the authorised people while recorded data is being viewed. 5.3 If out of hours emergency maintenance arises, the security staff must be satisfied of the identity and purpose of contractors before allowing access to the Control cabinet. 5.4 The Control cabinet will be kept locked. 6.1 Camera surveillance will be maintained at all times through the constant operation of cameras. Monitoring will be possible when the Principal/Deputy Principal/designated personnel are in the Office. 6.2 Monitors are installed in the Principal’s Office and will be used only in accordance with this Policy. 7.1 Recordings are initially made to a hard disk which is located in the locked Control cabinet in the Principal’s office. The equipment is programmed to delete images automatically after a certain period of time. Data can be recorded on to DVDs/USBs for specific purposes in accordance with this policy and with the authorisation of the Principal. Such DVDs/USBs will be stored in a locked cabinet. (i) Before use each DVD/USB must be cleaned of any previous recording. (ii) The Principal shall register the date of DVD/USB insert. (iii) A DVD/USB required for evidential purposes must be sealed, witnessed, signed by the Principal, dated and stored in a secure place. (v) If the DVD/USB is archived the reference must be noted. 7.4 A record will be maintained of the release or viewing of DVDs/USBs to the Gardai or other authorised persons. A register will be maintained for this purpose. 7.5 Should a DVD/USB recording be required as evidence, a copy may be released to the Gardai. DVDs/USBs will only be released to the Gardai on the clear understanding that the recording remains the property of the School, and both the DVD/USB and information contained on it are to be treated in accordance with this code. The School also retains the right to refuse permission for the Gardai to pass to any other person the DVD/USB or any part of the information contained thereon. 7.6 The Gardai may require the school to retain the stored DVDs/USBs for possible use as evidence in the future. Such DVDs/USBs will be properly indexed and properly and securely stored until they are needed by the Gardai. 7.7 In respect of DVDs/USBs not required to be retained for security, crime detection or other legitimate purposes, the School will ensure its best endeavours are used to safely and properly dispose of the contents of the DVDs/USBs after a reasonable period. 7.8 Applications received from outside bodies (e.g. solicitors) to view or release personal data stored on DVDs/USBs and held by the School will be referred to the Principal. In these circumstances a copy of the relevant DVD/USB will normally be made available for viewing or released where satisfactory documentary evidence is produced showing that they are required for legal proceedings, a subject access request, or in response to a Court Order. 8.1 Any breach of the Policy by the School staff or any other person with responsibility under the Policy will be initially investigated by the Principal, in order for him/her to take the appropriate disciplinary action. 8.2 Any serious breach of the Policy will be immediately investigated and an independent investigation will be carried out by nominees of the Principal to make recommendations on how to remedy the breach. 9.1 Performance monitoring, including random operating checks, will routinely be carried out by the Principal. 9.2 Lock Up Alarms will be responsible for annual maintenance, and for more regular maintenance as necessary. 10.1 Any complaints about the School’s CCTV system should be addressed to the Principal. 10.2 Complaints will be investigated in accordance with paragraphs 8.1 and 8.2 of the Policy. 10.3 Any person who might be deemed a Data Subject in relation to the System shall be at liberty to make a complaint directly to the office of the Data Protection Commissioner, Canal House, Station Road, Portarlington, Co. Laois. 11.1 The Acts provide Data Subjects (individuals to whom “personal data” relate) with a right of access to personal data held about themselves (including images recorded by the System and stored on DVDs/USBs), under the terms of the Acts. 11.2 Requests by Data Subjects for such access should be made in writing to the Principal. 11.3 The form of access granted may consist of facilities being offered at the School premises to view the relevant personal data or the release of a copy DVD/USB storing the relevant personal data. The CCTV system is owned and operated by the school. The Control cabinet will be secured at all times. Recording DVDs/USBs will be used properly and in accordance with the Acts and indexed, stored and destroyed within a reasonable period when it is no longer reasonably necessary to retain such data. DVDs/USBs may only be viewed by Authorised School Officers, and the Gardai. DVDs/USBs required as evidence will be properly maintained and preserved and witnessed and packaged before copies are released to the Gardai. DVDs/USBs will not be made available to the media or third parties generally for commercial or entertainment use. DVDs/USBs will be disposed of securely. Any breaches of the Policy will be investigated by the Principal. An independent investigation will be carried out for serious breaches. Breaches of the Policy and remedies will be reported to the Principal. This policy is published under the Freedom of Information Act and is available by contacting the Principal. Effective Date: 17th May 2010 on approval of Board of Management, Mohill Community College. Review Date: To be reviewed regularly.